Normally, my June festivities include me making a pilgrimage with friends to somewhere wine related to enjoy a great glass of summer wine because I adore wine outside in the summer months. 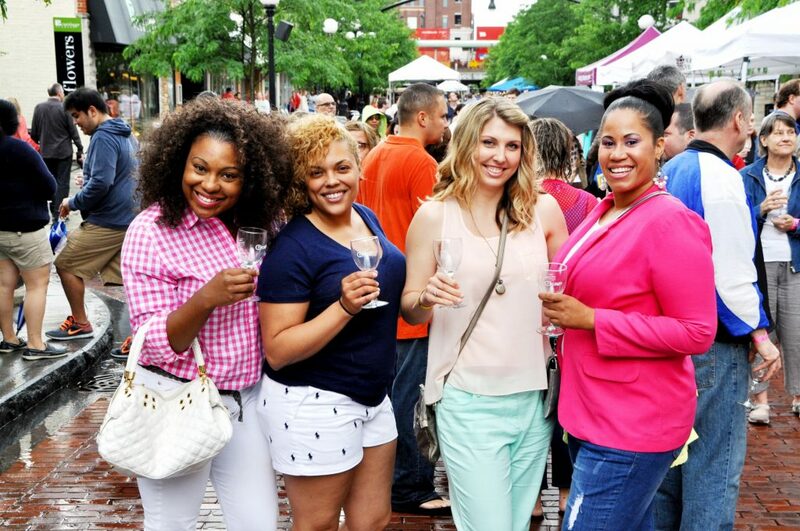 In the past, it has been either the Uncork Illinois Wine Festival in Oak Park, Illinois or to Sleepy Creek Vineyards in Fairmount, Illinois. This time however, with gas prices on the rise, the wine is coming to us! Whoot! Whoot! We are gathering together in my new backyard oasis with summer wine delivery from Winc Wine. It takes the hassle and guesswork out of picking a bottle from your local liquor store and delivers the perfect bottle directly to your doorstep. Winc offers 4 personalized wines each month. Bottles start at $13 each. However, new members can enjoy $22 off of their first month of Winc’s monthly wine subscription. I don’t know about you, but I know I am being very careful about my travel plans this summer – as gas prices are seeming to soar. Just the other day, a friend send a photo of gas prices in California (over $6 a gallon). Humph! I’m going to be honest. I’m not going to pay for a lot of random road trips this summer like I did in years past, especially if gas prices are on the rise. Therefore, much of our summer excitement is going to have to come directly to us! Just like enjoying this wine club in the comfort of my own home in place of the festival! Once everything is all laid out, you’ll be the first to hear about it because I want to inspire you to create some great summer 2018 memories, too!